To find your Ford F150 Pickup part from a RECYCLER NEAR YOU, just enter the YEAR and PART TYPE you wish to locate and your ZIP code in the above form and press the "FIND" button. We know F-150 Pickup Parts! Let us help you find yours. The Ford F-Series, which includes the Ford F-150, has been offered by Ford Motor Company since 1948. The F-150 was designed with the concept of versatility in mind. The first generation F-series trucks were manufactured from 1948 to 1952 and offered eight models, ranging from the F-1 to the F-8. The models currently used today, the F-100, Ford F-150, F-250 and F-350, were introduced in 1953 with the second generation of the Ford F-Series. Over the years that’s a lot of different model options. It can be difficult trying to find the best replacement part for your vehicle while keeping an eye toward cost. That’s where we can help you. 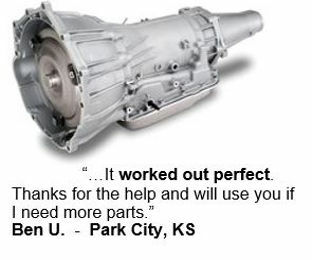 Our parts specialists are second to none in their F-150 truck parts expertise. In fact, many of them drive one! The Ford F-150 was first introduced in 1975, referred to by some as the “Heavy ½ ton” because the ½ ton F-100 was still in production at that time. Upon introduction in 1975, more than one-third of the F-Series sales were Ford F-150’s. In 1984, the Ford F-150 replaced the F-100 as the base model F-series truck. The body of the Ford F-150 has been redesigned numerous times over the years, including its most recent redesign in 1997. The corners of the Ford F-150 trucks were smoothed out, moving away from the long-standing boxy appearance. This was the first serious redesign for the Ford F-150 since 1980. As Ford anticipated that the new design of the F-150 would not be well-received at first, the previous model design was produced alongside the new model for a couple of months after its redesign. A year later in 1998, Ford added the Super Duty series which in addition to the Ford F-150 included the F-250 and F-350. The standard F-250 offered the body panels of the Ford F-150, with more capable axles and suspension. The Super Duty line consisting of the F-250HD and F-350 was reclassified and became known as the 7700 series for the F-150 line shortly thereafter in 1999. Currently, the Ford F-150 is offered in 11 models with three cab sizes and three cab lengths, including the following: XL, STX, XLT, FX2, Lariat, FX4, SVT Raptor, King Ranch, Platinum, Lariat Limited and Harley-Davidson. 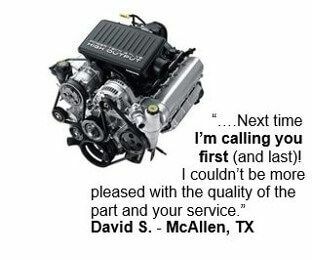 In 2011, the Ford F-150 introduced a new engine for the line, increasing the power to a 360-hp 5.0-liter V8, a 365-hp twin-turbo “EcoBoost” V6 or a 411-hp 6.2 liter V8, depending on model. The Ford F-150 offers the traditional Ford features including Sync (a voice-control system for mobile phones and the audio system), a navigation system and a back up camera. Several Ford F-150 models include a leather interior option. The Ford F-Series has been offered for over 60 years, with the F-150 being consistently ranked as the best-selling vehicle in the United States for 24 years and best-selling truck for 34 years. The Ford F-150 has also ranked as Best Pick from the Insurance Institute for Highway Safety’s frontal offset test and has received 5 Star ratings from the NHSTA. Even with the decline in truck and sports utility vehicle sales, the Ford F-150 remains the best-selling truck in America. With millions of used Ford F150 Parts available, PartsHotlines is the perfect place to start your search. We have hundreds of the top auto salvage yards available to help you find the right part to repair your truck. Our parts are top quality auto salvage parts and are all road tested. Find your best prices on used Ford F150 pick up parts by entering the make, model and year of your truck and the part you need. We’ll search all salvage yards and show you all the parts available, sorted with the local options first. to help you save money on your parts. 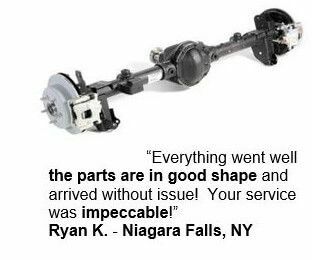 Then give us a call and let our experts help you with all your used truck parts needs. Ford F150 Pickup Body Parts, Misc. Ford F150 Pickup Engine Parts, Misc.